Update 11/18/14 1:07 p.m. ET by Konrad Krawczyk – The Macbook Air with Retina may not include Intel Core M CPUs in it after all, now that competing units demonstrate the chip’s lackluster performance. They could very well be stuffed with Intel Core i5 and Core i7 chips instead, and the release date for Apple’s oft-rumored notebook may have been pushed back as far as sometime in mid-2015. Previous reports indicated that the 12-inch Macbook Air with Retina could be unveiled sometime in the early part of next year. Update 10/15/14 2:43 p.m. ET by Konrad Krawczyk – KGI Securities analyst Ming-Chi Kuo claims that Apple will not show off any new Macbook laptops at its October 16 event. That’s because, according to Kuo, Apple is waiting for Intel to launch its fifth-generation Broadwell CPUs, which will be appearing in a bunch of new Windows-based laptops this fall as well. One of the long-standing rumors about the 12-inch Macbook Air with Retina has indicated that it is expected to be fanless once it’s launched. Intel’s Core M chips, which are based on the company’s Broadwell architecture, are fanless processors. Kuo’s claims come after multiple reports have also stated recently that a new Macbook would not appear at the upcoming Apple showcase. Update 10/14/14 10:10 a.m. ET by Konrad Krawczyk – A new report indicates that the oft-rumored 12-inch Macbook Air with Retina won’t be shown off at Apple’s October 16 event. Though the 12-inch Macbook Air with Retina is likely being produced, it probably won’t get launched until sometime in early 2015, at the earliest. The upcoming Macbook is expected to be fanless, thinner than current models, and could come loaded with Intel’s (fanless) Core M processor. The new, unannounced Air could also be packed with USB Type C connectors, which are thinner than existing ports. Update 10/9/14 10:27 a.m. ET by Konrad Krawczyk – After a recent rumor indicated that the 12-inch MacBook Air with Retina has entered a limited state of production, a Wall Street Journal report now says that the unit won’t begin to be produced until sometime in December. With Apple’s next product unveiling event scheduled for October 16, it’s currently unclear whether we’ll see the new Air at that point in time. Digital Trends suspects that, in the case of the 12-inch Macbook Air with Retina, Apple may take an approach that’s similar to what it did with the Apple Watch announcement last month. Apple could indeed announce the 12-inch Macbook Air with Retina at its October 16 event, show it off, and then say that it won’t be released until sometime in early 2015. That’s exactly what Apple has done with the Watch, and it wouldn’t surprise us at all if the company went down a similar path here as well. Update 10/8/14 4:59 p.m. ET by Konrad Krawczyk – A new rumor suggests that while the 12-inch MacBook Air with Retina has entered “limited production,” it may not be released until after the 2015 holiday shopping season. That matches up with previous release date rumors, which also indicated an early 2015 launch. As of now, production is restricted to “small quantities,” but that’s expected to spike considerably starting sometime in early November. That’s reportedly due to the upcoming Macbook Air’s shell, which is much thinner than what the current Macbook Air units wear. Also, “advanced internals” are proving to be problematic for component suppliers, though it’s unclear what those problems are exactly. The 12-inch Macbook Air with Retina may include USB Type C connectors, which could allow Apple (and any other firms that use it in their systems) to make the system thinner than any laptop we’ve ever seen. USB Type C will supply power, video via DisplayPort, super-fast data transfer rates, and a much thinner design. Update 9/24/14 11:22 a.m. ET by Konrad Krawczyk – The long-rumored but still officially un-announced 12-inch MacBook Air with Retina may include USB Type C ports. USB Type C will provide power, DisplayPort video, super-fast data transfer rates, and a much thinner design as well. Since USB Typc C promises to be significantly smaller compared to current USB ports, Apple could use these connectors in an effort to make the next MacBook Air among the thinnest notebooks the world has ever seen. On top of that, the 12-inch MacBook Air with Retina could ship in colors other than Silver. A recent report claims that it could also be offered in Space Gray and Gold as well. Apple already makes iPads and iPhones in Space Gray. It also offers the iPhone in Gold as well. Update 9/18/14 7:33 p.m. ET by Konrad Krawczyk – The new MacBook Air may not be released until sometime in 2015, according to a new report. While a super-thin MacBook Air with a Retina display was rumored to be revealed sometime by the end of this year, this is “less certain” to happen now. 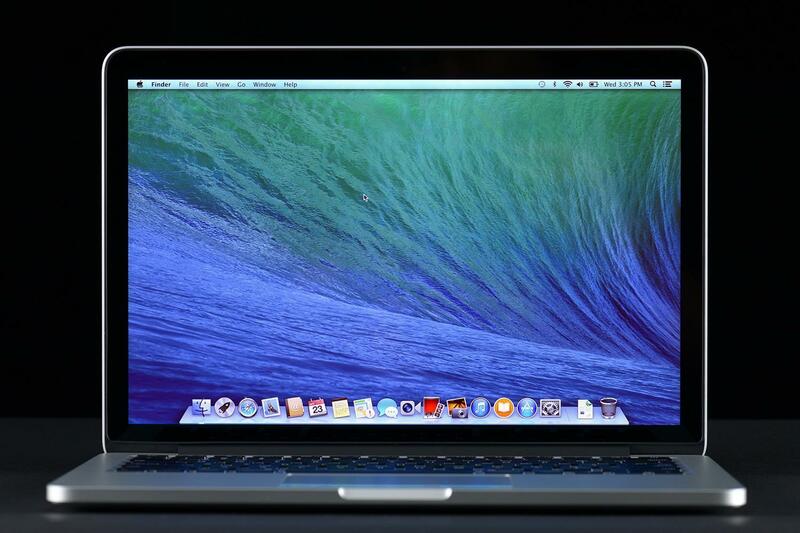 Digital Trends suspects that Intel’s new Core M processor, which is fan-less, could be included in a new MacBook Air. Windows-based Core M-powered laptops are already launching starting next month. The original MacBook Air spurred a revolution in notebook computing when it was first released back in 2008. Take it out of the picture, and solid state drives would have seen slower adoption, Ultrabooks would never come to be, and laptops might still have more than a couple USB ports. Hey, we didn’t say revolutions were always good. Over the past two years though, the Air has fallen behind its competitors. The system’s low-resolution display, generic design and relatively anemic specifications have turned the former revolutionary into a tamed budget option. Apple is due to refresh the system however, and we’ve heard a few rumors that hint at what the company might do with the next version of the MacBook Air. The most dramatic rumor making the rounds says that Apple will introduce a new 12-inch model to its lineup. This model would entirely ditch the mechanical mouse button integrated into the current touchpad, and may use force and optical sensors to offer a new slew of touch gestures. While adding a 12-incher may seem superfluous, there’s reason to think that this rumor has merit. The current 13-inch MacBook Air is a bit large for its size because of the relatively large bezels surrounding its display. As already evidenced by the 11-inch MacBook Air, Apple has room to reduce the overall width of the system without compromising the size of the keyboard. A thin-bezel 12-inch model could be nearly as small as the 11-inch MacBook Air, but could still provide a more usable display and a larger touchpad. Does this mean that the 11-inch and 13-inch models could go the way of the dinosaur? The rumors don’t comment on that, but we believe that at least one of them will remain. We think a thin-bezel 12-inch model that incorporates other rumored advances would sell for a couple hundred more than the current 13-incher, giving Apple an incentive to keep one of the existing Airs as a budget option. If anything disappears, it’ll be the 11-inch Air model, which is arguably the company’s least appealing laptop. Attached to the rumor of a 12-inch model is a claim that Apple may go fanless with the new Air, but won’t be switching to ARM processors to make this happen. Taking out the fan assembly would make the system silent and help Apple set a new benchmark for thin-ness. Going fanless isn’t unprecedented. HP already has a passively cooled 13-inch dockable, the HP Spectre 13t x2, which was made possible by packing it with an Intel Core i5-4202Y CPU. That processor’s thermal design power of only 11.5 watts makes the inclusion of a cooling fan unnecessary. 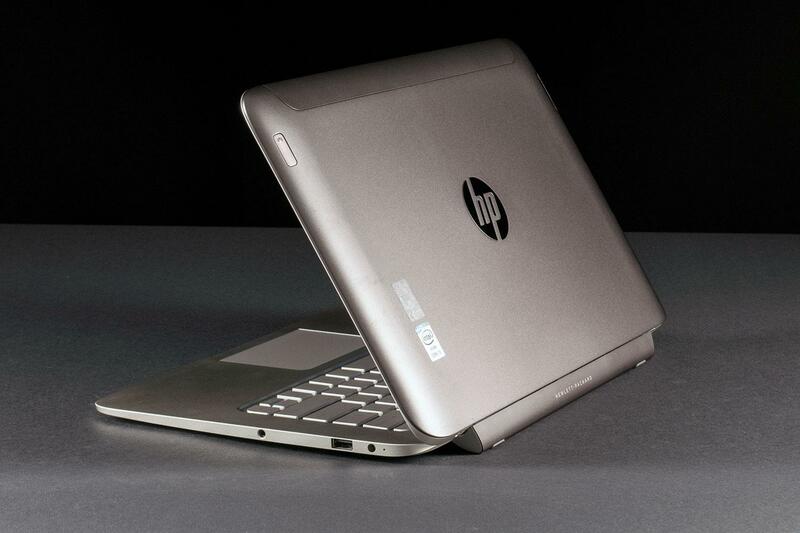 In fact, HP’s fanless dockable was the coolest, quietest PC we’ve ever reviewed. There’s no reason why Apple couldn’t use a similar Intel chip to create a fanless MacBook Air. However, if Apple were to go down this path, the new MacBook Air wouldn’t be much quicker compared to its predecessor. We doubt buyers would mind though, as the Air has never sold on performance, and a fanless version could be very thin indeed. The tablet portion of the HP Spectre 13t x2 is only .27 inches thick, and it contains all the processing hardware. We doubt a fanless 12-inch MacBook Air would be that thin, but a thickness between three-tenths and five-tenths of an inch would seem likely should Apple ditch the fan. The likely announcement of a new MacBook Air has re-kindled rumors that Apple will bestow it with a Retina display. This time around however, the addition of Retina seems almost mandatory. Virtually every competitor has at least a 1080p display, and some (like the Toshiba Kirabook and the Lenovo Yoga 2 Pro) have gone beyond that. Apple is now playing catch-up. We think the timing of the new 12-inch MacBook Air rumor syncs nicely with Apple’s decision not to introduce Retina in the MacBook Air last year. If Apple retained separate 11-inch and 13-inch models, it would have to come up with two separate Retina panels. Though that’s far from impossible, it’s certainly more expensive. If Apple introduces a single new, 12-inch model with Retina instead, the company would reduce its costs and be able to reveal an “all-new” Air, rather than a mere revision of older hardware. 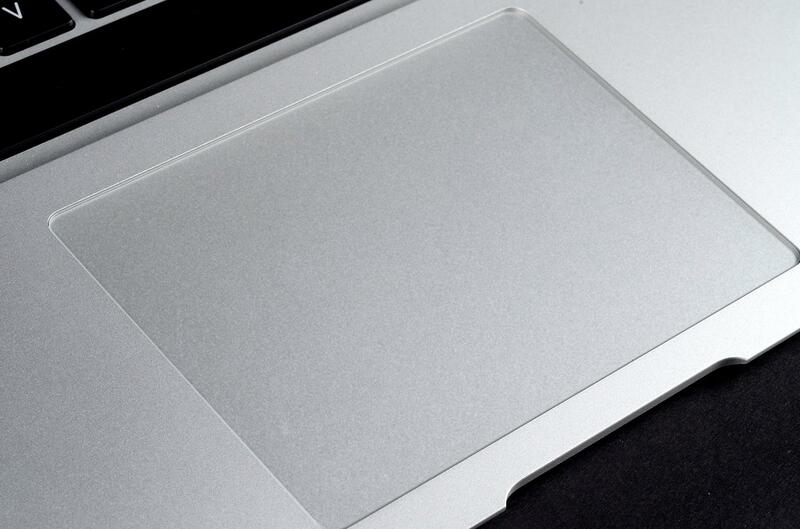 The rumor mill says that a 12-inch MacBook Air with Retina could have a display resolution of 2304×1440. This unusual resolution would give the display a 16:10 aspect ratio, like what’s found on the MacBook Pro, rather than the “widescreen” 16:9 found with previous MacBook Air notebooks. Switching to the taller ratio would be a good choice, because it would allow for more usable display space and a larger touchpad (if the screen is taller, the lower half of the laptop must be longer, too). The 2304×1440 panel would come to a 226 PPI, which is slightly less dense than the MacBook Pro 13 with Retina. Apple could also stick to the more conventional resolution of 2560×1600, but this would result in a density of 251 pixels per inch, which could throw off the carefully-tuned high resolution graphics Apple has built into Mac OS X. Individually, these rumors seem mundane. However, when digested together, we think they paint a clear picture. It seems like Apple is likely to release a 12-inch, fanless MacBook Air with a 2304×1440 Retina display. Though it won’t be much quicker than past MacBook Air notebooks, it will make up for that by wearing an absurdly thin chassis and sleek, thin-bezel design. With that in mind, we think the entry-level price for the 2014 MacBook Air will be between $1,199 and $1,399. The current 11-inch and 13-inch models may remain, though if one does get the axe, it’ll likely be the 11-inch MacBook Air. If that happens, the 13-incher could see a minor revision and a possible price drop to $999. If all of this comes true, the new 2014 MacBook Air may be a worthy successor to the original. The 12-inch MacBook Air could be much thinner than any competitor, offer a superior display, and modernize the look and feel of the aging laptop. Rumors are rumors though, so all of this may turn out to be wishful thinking, but we very much hope they do come true.